What do you do on a HOT summer day? 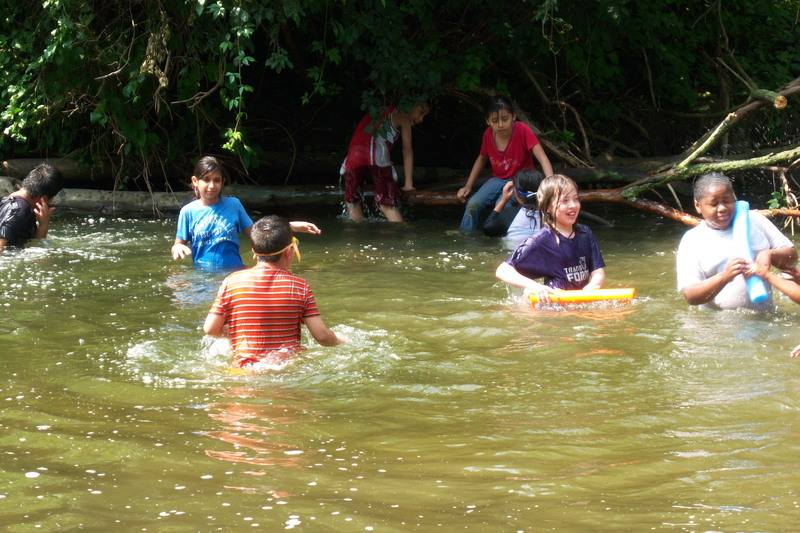 Hickory Creek runs through Pilcher Park and we are so happy about that on a day like this! 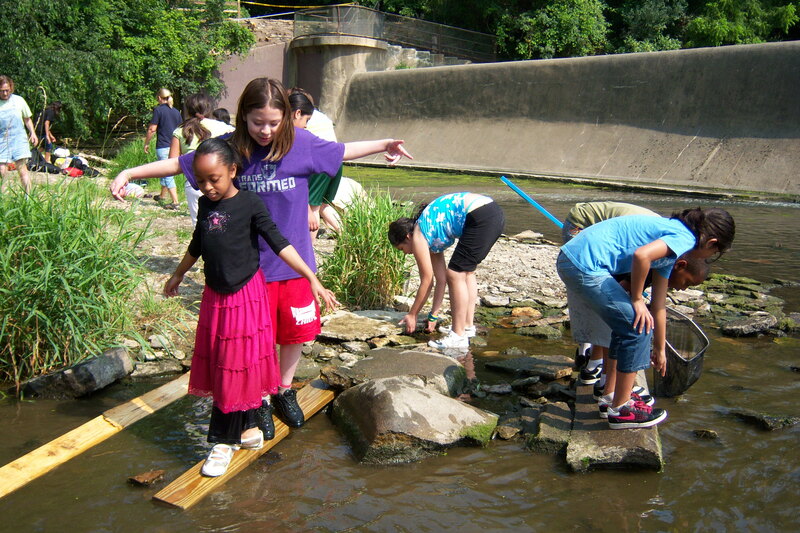 Today it is 94 degrees at 10:00 a.m. and our Kids n Nature Campers were headed for the creek. They were WET by 10:05! These kids LOVE the water. When it is hot in your yard what do you do? If you don’t have a park with a creek nearby a hose and some COLD water works just as well! A mud pit in the backyard where the kids can create something like a mud pie is always welcome! Pond Study on a hot day! 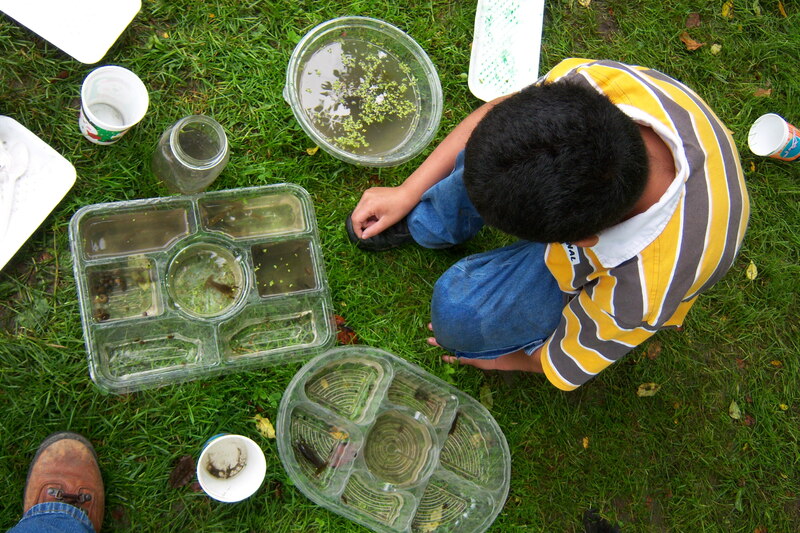 Pond Study is a wonderful way to spend an afternoon with children. 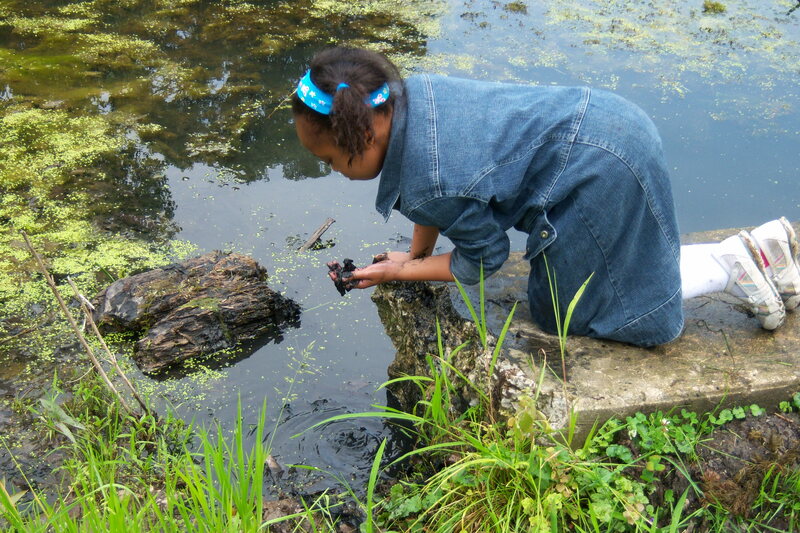 They LOVE to find bugs and other water critters . They learn so much more math and science by exploring than you would EVER imagine. What ever you do find a way to stay cool and stay outside. There are so many benefits to being out in nature and learning about your enviornment! Your child will be ahead of the other kids in math and science if they practice learning about nature now. Plus they will get the added benefit of EXERCISE outside while they are playing! Turned 60! Now comes the third act! From here to 90 I am ready to experience all the fun life has to offer! More of what I want! Time spent with the Grands! Time spent in nature and most of the time with a camera in hand as I record the world around me - THROUGH DEBBIE'S EYES! This entry was posted in Childhood, Children in Nature, Nature Play, Play in Nature, Preschool, Preschoolers, Uncategorized and tagged kids, kids n nature, nature play, Play in nature, Play outdoors, Play outside, preschool, preschoolers, Summer fun. Bookmark the permalink. 1 Response to What do you do on a HOT summer day?